Why Do it? 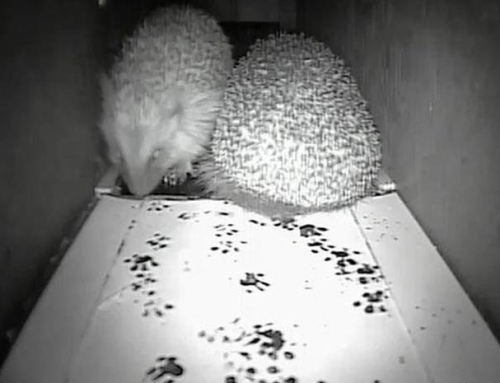 : Hedgehogs are in trouble. 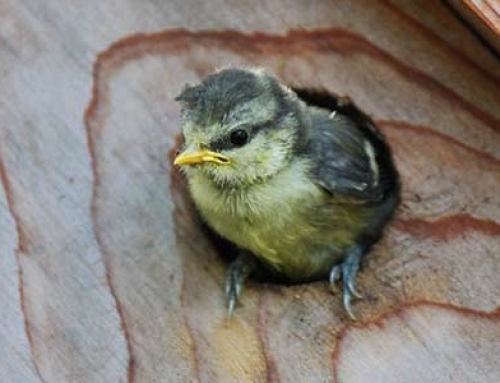 Their numbers have fallen dramatically over the past few years so they need our help. 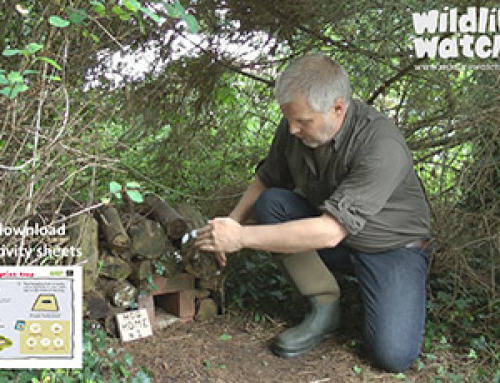 There are several things you can do in your garden to help hedgehogs and providing a safe, dry and cozy place to sleep is one of the best. What you Need: (x1) Plastic storage tub (approx. size 320lt), a short length of plastic pipe (approx. 25mm diameter), black insulating tape, a small amount of meadow hay and lots of logs, leaves and twigs. Tools Required: Saw, hammer, screwdriver, Stanley knife or a robust pair of scissors. 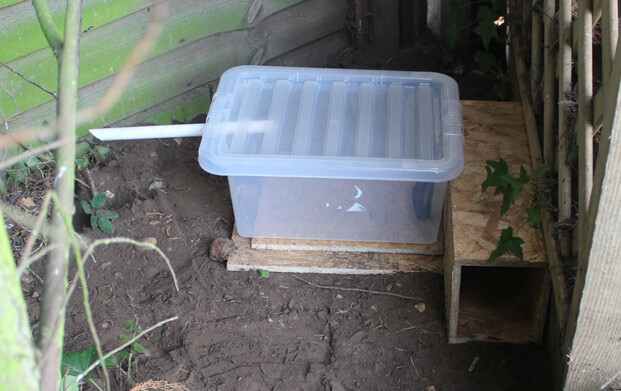 In this ‘How To’ guide I’ll show you how easy it is to make a very cozy hedgehog home using a plastic storage tub and some scrap timber. So, lets get outside in the fresh air and get started! I’ve made two tunnels here. One is a straight line tunnel with entrance and exit in line and the other has a right angle turn in it. 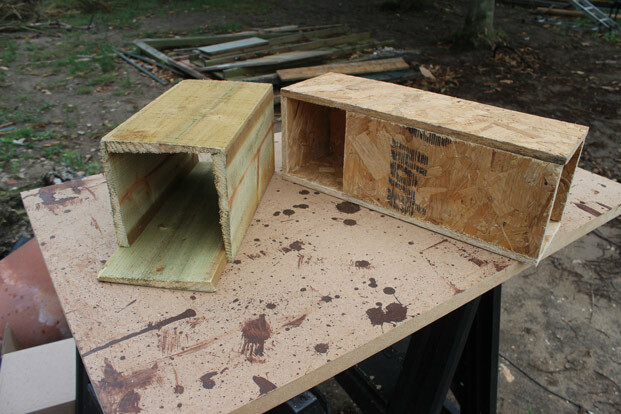 The tunnel should be at least 300mm long and the opening should be 110mm x 110mm. 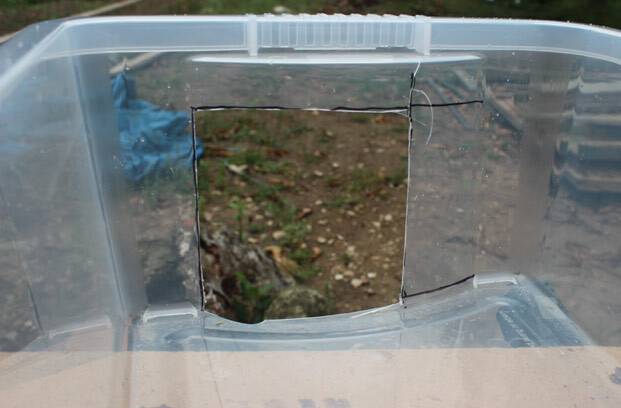 Position the plastic tub in the desired position against the tunnel and mark out the area to be cut out using a marker pen. The edges of the cut out are likely to be quite sharp. 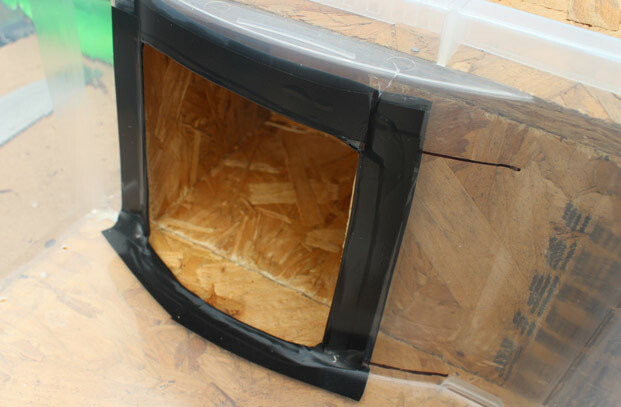 It’s always a good idea to cover these edges with a layer of insulating tape. I always add a double layer overlapping the edges slightly and then press the tape down firmly around the edges. 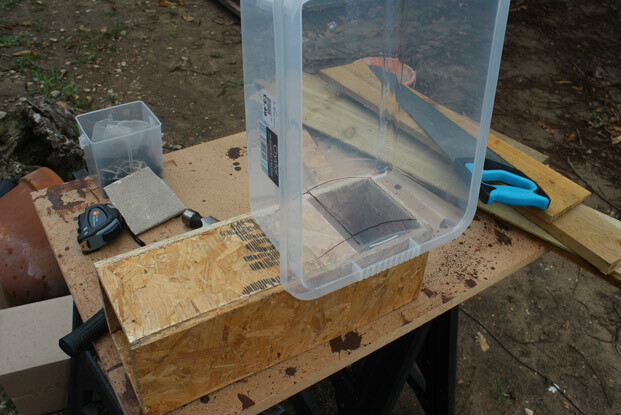 Drill a series of 6mm diameter holes just under the top lip of the plastic tub for ventilation. 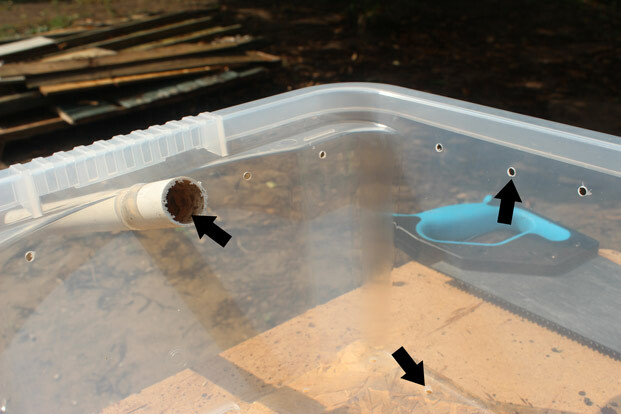 Drill a few 6mm diameter drainage holes in the base of the plastic tub too. I’ve also added a length (approx. 400mm) of 25mm diameter plastic drainage pipe to offer a little extra ventilation. Position the plastic storage tub against the tunnel to make sure everything lines up. 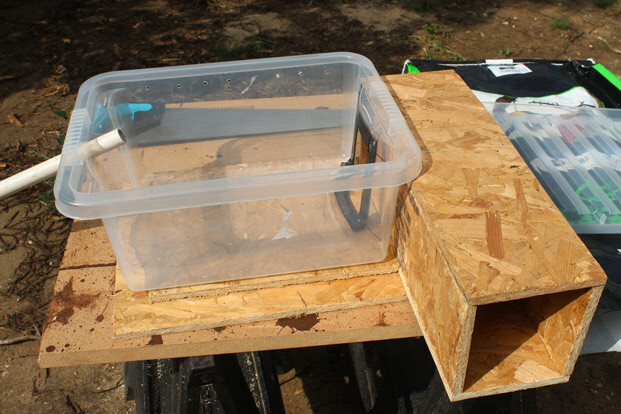 I like to add a piece of timber under the plastic tub to add an extra later of insulation on the underside of the hog home. 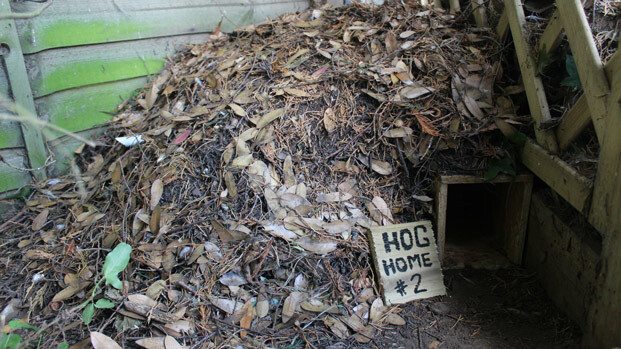 Place the hog home in a quiet area of the garden ideally out of direct sunlight under a hedge or similar. 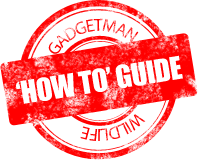 Try to make sure the ground is well drained and fairly level too. 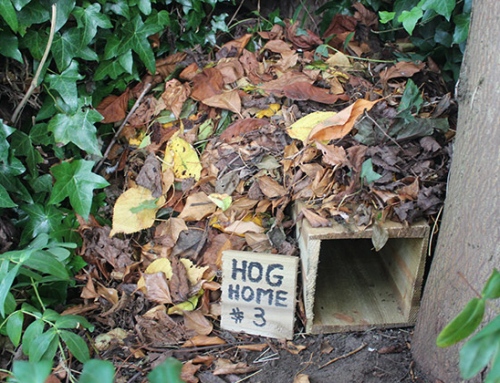 Hedgehogs will happily gather their own bedding material but its always good to give them a bit of a helping hand. 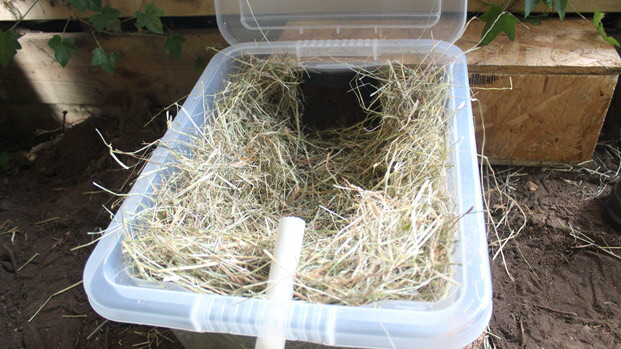 Meadow hay (available from all pet shops) is ideal but don’t over fill it! I always start with a layer of dry leaves and then stack logs and twigs on top. Make sure you cover all sides but make sure you leave the entrance clear! Ensure that any logs or heavier materials directly above the tunnel entrance are securely stacked. We don’t want anything falling down and either blocking the entrance or landing on a hedgehog’s head! 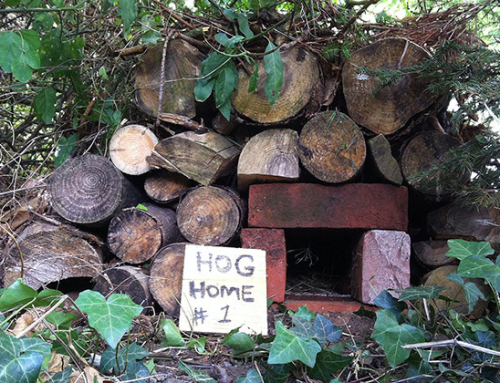 I’m often asked ‘How do you know if your hog box is being used?’ Well, there are a number of signs you can look out for. 1. Noises from inside the box – Sometimes (but not very often) you can hear movement from inside the box and very occasionally you may even hear some snoring! 2. You could place a ‘footprint trap’ at the entrance (I’ll be telling all about these in a future ‘How To’ guide). 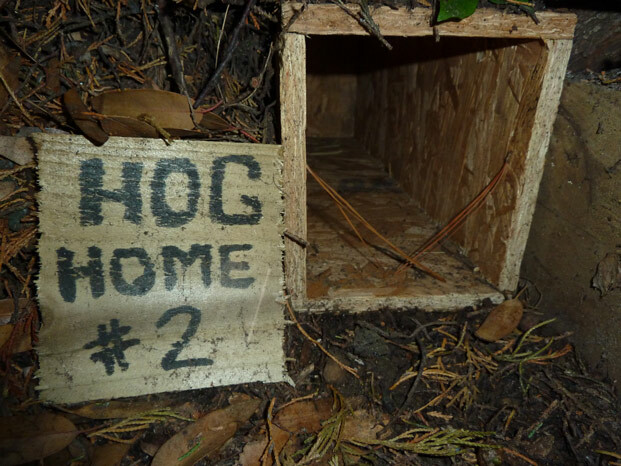 This will show you footprints of any visitors to and from the hog box. 3. This is probably one of the easiest things to do – I always place a couple of very small twigs across the entrance. If they’ve been moved then you know something has been inside the box.